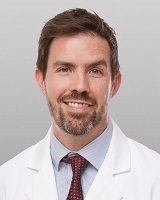 Brendan O’Hare, MD, is a licensed gastroenterologist with Saint Thomas Medical Partners. Dr. O’Hare is board-certified in Gastroenterology as well as Internal Medicine. He provides services such as endoscopy, colonoscopy, as well as capsule endoscopy. Dr. O’Hare has a special interest in celiac disease as well as inflammatory bowel disease. He strives to provide excellent care on a personal level for each patietn. Outside of the office, Dr. O’Hare enjoys home beermaking, science fiction novels, travel, and hugging his daughters Leela and Indira.